Reformation Sunday Sermon: "Free Indeed"
Why do you celebrate Reformation day? Is it because it’s fun to wear red and play pin the 95 theses on the door? Well, no. Though festive ways of remembering the Reformation are good. But the Reformation wasn’t about fashion statements even if Luther did let his hair grow back on the top of his head. Is it because it’s a day to pat ourselves on the back for all we’ve accomplished in the last 497 years? No. The reason Luther is such an important teacher of the faith and the reason the Reformation is still celebrated and still needed, is because Luther wanted the church to abide in the word of God, not the works of man. Is it because it’s like church spring cleaning; time to smash the stained glass windows, topple the statues, remove the crucifixes, and stick out our tongues at the pope and declare our liberation from the papacy, right? No, not at all. Remember, Luther didn’t set out to start a new church; but to reform the church. To bring the church back to abiding in the Word of God. 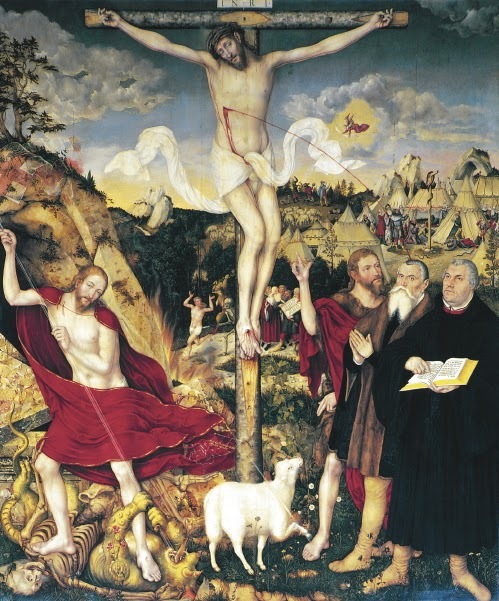 Not a restart, but a return to the true catholic confession of faith. Luther didn’t want a riot, but a reformation. Luther taught Christian freedom, not anarchy. Now, some did riot and revolt; it’s called the radical reformation. They smashed and burned, huffed and puffed and tried to blow the whole house down. They wanted revolution. Luther wanted reformation. This is why Luther kept, and Lutherans to this day still keep and treasure the practices and ceremonies of the church, things like chanting, vestments, processions, singing hymns, using the liturgy, stained glass windows, and other works of sacred art. Why? Because all of these things point us to Christ when they are taught and used rightly. Luther was a conservative reformer, correcting what was wrong; preserving what was right. Is it because the Reformation is over and it’s time to party? Well, no. Not exactly. The Church is always and ever being reformed. The Lutheran churches. This church. It’s not simply a once and done deal where you can kick back and relax. There’s always error, always drift, always a little sideways current or wind that blows the Church slightly off course. We too are ever in need of reformation. It’s not about once confirmed always Lutheran or whatever other false security blanket we try to wrap ourselves in. Rather, rejoice in your Baptism. It’s a daily gift, a daily dying and rising, a daily reformation. God’s Word is the common denominator. God’s Word is an eternal gospel, proclaiming that all nations are saved by the Lamb who was slain and lives. God’s Word declares that you are justified by faith apart from works of the Law. God’s Word sets you free from slavery to sin. Everything is founded on the Word of God. Here I stand – upon God’s Word. So, your Faith in Christ is born of the Word. Faith is fed by the Word. Faith is sustained by the Word. And without the Word, faith dies. Apart from Christ the Vine you, his branches, wither and die. What irony. Even as this conversation was taking place, the Jews were enslaved to the Romans. And before that there were the Persians, the Assyrians, and the Babylonians. Oh, and don’t forget that “little” extended stay in Egypt. How soon they forgot. How soon we forget. As bad as the Egyptians were, there is a worse master: Sin and Death. The truth is, you are a slave to sin, just as Israel was once a slave in Egypt. Everyone who commits sin is a slave to sin. Whether you’re a son of Abraham or Luther, it doesn’t matter. We are born slaves; captive by Sin and Death. And it’s not just our thoughts, words and deeds. No, it’s much deeper than that. Capital “S” Sin. We’re stuck. We’re enslaved. And we’re powerless to liberate ourselves. Any attempt at self-emancipation only make matters worse. It didn’t work for Luther. It won’t work for you either. It’s true. You are a terrible, horrible, no good, very bad sinner. Just like the Jews in Jesus day. Just like Luther. Just like me. But it’s also true that God took your terrible, horrible, no good, very bad sin and placed it all upon His holy, perfect, innocent, and righteous Son Jesus. The Son came down to us. The Son joined us in our humanity. The Son stood side by side with the slave to free us. He paid for your rescue with his own precious blood. He was not enslaved by Sin, He was Lord over Sin. And as Lord, He came under the Law that accuses us, that gives our consciences no rest, which kills us. He took up our Sin and our Death and nailed it all to His cross. God does not hold you accountable for your sins. Jesus entered our captivity to rescue us. Jesus was bound in death’s chains to bring you life and freedom. Jesus’ death and resurrection is the end of your slavery to sin. For the Son became the slave so that the slave might become the son. And if the Son sets you free, you are free as free can be. This is what Luther discovered: The joy of hearing that Jesus was not a righteous judge, but one who was judged in order to give us his righteousness; The good news that Jesus came to bestow God’s undeserved kindness and favor upon us, not to be an example of earning God’s favor; The truth of Scripture that grace is not something earned, but given freely. And today Luther’s joy is our joy. In Jesus you are free. Free from the obligations of the Law. Free from the Law’s condemnation. Free from enslavement to Sin. Free from Death. Free to live before God as a justified sinner. Free to serve your neighbor in love. The slave is made a son. Should you ever doubt this or wonder if it applies to you, remember you are baptized. Baptism is your adoption paper. Rejoice! You are no longer slaves; but you are sons with the full rights of inheritance. You have a permanent place in the house. And you have a place at the table. Come, eat and drink. Abide in the Lord’s word and promises as his body and blood abide in you for your forgiveness. You are forgiven. You are free. 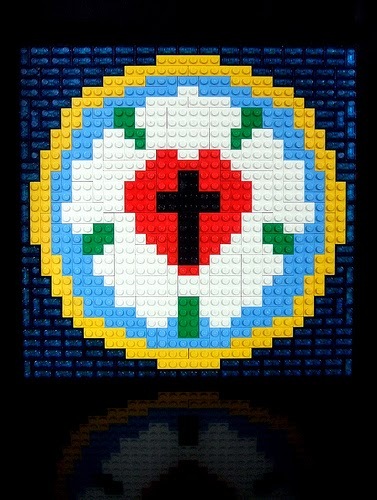 Every child builds. Some build castles out of wooden blocks handed down from an older sibling. Some construct forts out of blankets, chairs, and miscellaneous living room artifacts. Some erect mansions and small municipalities out of Lincoln Logs, Tinker Toys, or any other plaything their grandparents or parents saved for them to enjoy one day. As fun as those pastimes were, my medium of choice has always been Lego bricks. I received my first Lego bricks from family friends in Michigan when I was two years old. They gave me three five-gallon buckets full of these plastic treasures. And though I wouldn’t get my hands on them for a couple more years, when I finally did, my imagination was awakened by them, captivated by these little bricks with endless building possibilities. Those three buckets were my child-hood equivalent of stepping into a magic wardrobe or the TARDIS. Pieces led to imagination. Imagination led to building. Building led to storytelling. I spent hours in my room and around the house acting out the stories I told with my Lego sub-creations. I followed instructions. Sets were built. Sets were deconstructed. New ideas and creations were built and the cycle repeated. Whole worlds were brought into existence and complex stories formed a strong undercurrent to these creations. The import of using Legos can be seen well beyond the realm of childhood fantasy. Math teachers use Lego bricks for learning fractions. 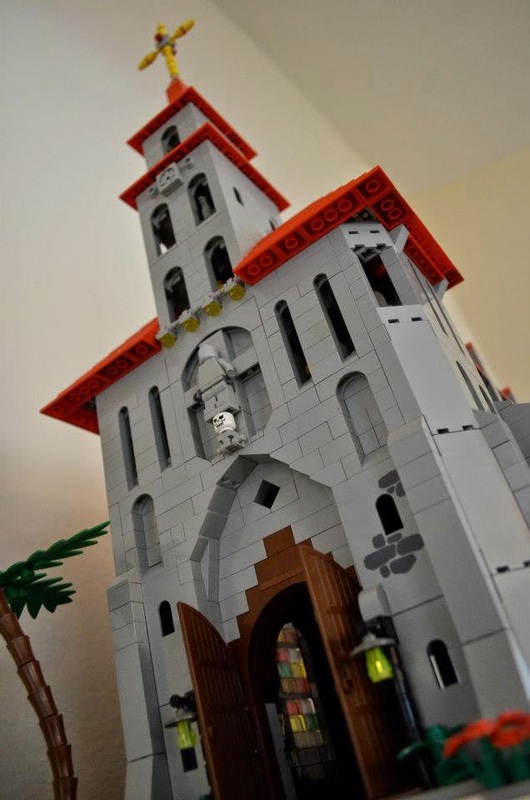 Engineers and artists use Lego bricks for architecture and design in various scales and styles. Building toys also have positive benefits in the development of a child’s fine motor skills and dexterity, as well as social interaction with other children and adults, stimulation of creativity, and play. And for the visual learners among us, there is always the multi volume The Brick Testament. 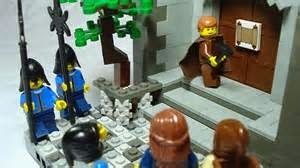 But the point here is not to extol the many uses of Lego bricks, but to highlight their importance for the imagination. This is why I enjoyed The Lego Movie so much. The entire movie was about the imagination. And without getting into too much plot detail, in the midst of adventure, humor, and a well-told story, more than one man’s imagination is unlocked or opened – I think “freed” would be the best word – by an act of sacrifice. 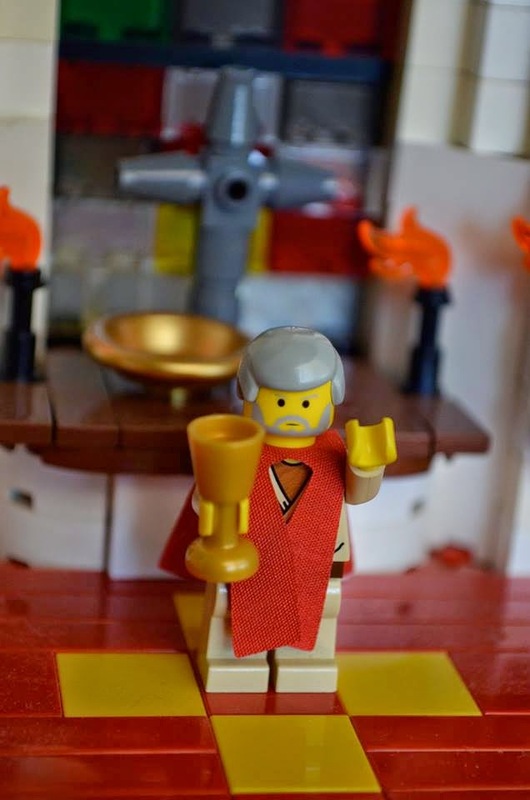 Yes, I think there is a Christ figure in The Lego Movie. And I’ll give you a hint: this character’s name means ‘truth’. Moreover, there’s a similar progression in the plot of The Lego Movie to what I experienced growing up. Pieces led to imagination. Imagination led to building. Building led to storytelling. Before the imagination can be used in Christian apologetics the imagination must be set free. Not free to do as we please, mind you. After all, that’s not freedom; that’s anarchy and lawlessness. No, freedom to use the imagination in service to Christ. Many of the 20th Century’s greatest authors did this. J.R.R. Tolkien, C.S. Lewis, G.K. Chesterton, and Dorothy Sayers are just a few that come to mind. Now, the point is not that all Christians need to become best-selling authors in order to use their imagination as an apologetic for the Christian faith. Rather, in our various vocations (or hobbies) God’s gifts of intellect and imagination are put to use to serve the neighbor and declare and defend the Gospel. A great place to start, or whet the appetite for construction, would be to read Gene E. Veith’s book Reading Between the Lines: A Christian Guide to Literature, or Francis Rossow’s fantastic tome Gospel Patterns in Literature. For Tolkien, Sub-Creation is a derivative mode, or aspect, of creation. We make by the law in which we are made. Using Imagination and Sub-Creation, we’ve begun to construct a tool for the apologetic task. In this first segment we find an important first piece – a baseplate – for a tender-minded means of defense, the imagination. The next piece is to examine further Tolkien’s use of imagination and its connection to Sub-Creation. For then we will see how fantasy can clearly reflect reality. J.R.R. Tolkien, On Fairy Stories, in Tree and Leaf. London: Harper Collins Publishers, 2001. p. 56. For the record, the plural of Lego is Lego Bricks, not Legos. And yes, I am that nerdy. This is similar to the way that C.S. Lewis created and developed the rich background story to Boxen which prepared the way for The Chronicles of Narnia. Emmet appears to be a variation of the name Emmeth, similar to the character in The Last Battle. Emmeth is also an English transliteration of the Hebrew word for truth. J.R.R. Tolkien, Mythopoeia, in Tree and Leaf. London: Harper Collins Publishers, 2001. p. 87. Sermon for the Feast of St. Luke, Evangelist: "The Doc is In"
Sounds like a medical transcription report. People can’t see. Can’t walk. Can’t speak. Diagnosis. Prognosis. Treatment. Isaiah depicts the Lord as a divine physician, as the Healer of the Nations. 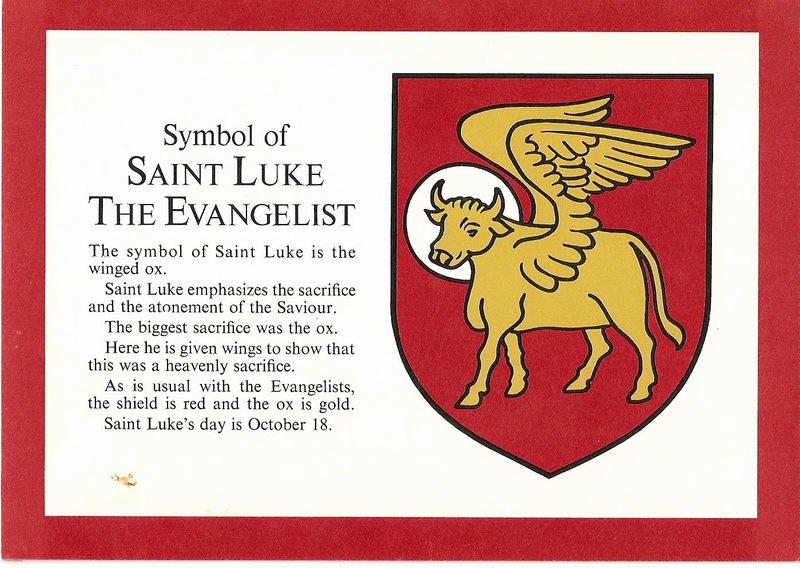 And so does St. Luke, who we commemorate today. The Good Physician whom Isaiah foretells, Luke records in his Gospel. From Luke’s perspective, the moment Jesus is born in Bethlehem, the sign on the stable door where Jesus is born reads: “The Doc is in”. Jesus fulfills Isaiah’s prophecies. Jesus heals the blind. Jesus opens the deaf ear. Jesus tells the lame to get up and walk.. And Jesus speaks peace, because he is the peace of God in human flesh. And that’s why he instructs the 72 in Luke 10 to say, “Peace be with this house” as he sends them out as apostles of his peace. Jesus gives his peace won for us on the cross. Reconciliation with God. This peace forgives sin. This is the peace he sent the 12 and then the 72 out to proclaim. This is the peace that Luke writes about in his Gospel. Jesus is a physician of peace. Now peace may be the last thing on your mind when you go to the doctor’s office. You may not find the medical waiting room a very peaceful place. Oh sure, it might be painted with soothing colors, decorated with toys, magazines, or TVs. But for many, a trip to the doctor causes anxiety, fear, and loathing. But not so with Jesus, the Good Physician of body and soul. There’s no white coat syndrome with Jesus. No need to fear your Savior. Yes, he knows your history. He knows you are sick. He knows you are a sinner. He knows you are unclean. But none of that stops Jesus. You are precisely why he was born, why he lived, suffered, bled and died. Yes, your sin causes you fear – and well it should. We can’t say, “But…I’m not quite dead yet”. We’re dead in our trespasses. Cold and lifeless on the operating table. But what is greater, your fear and doubt or Jesus’ cross? Your sin or Jesus’ death that atones for your sin? Jesus walks in to the waiting room of our fallen world to breathe our poisoned air, and to take our disease of sin and death upon himself, to restore your life forever. The Doctor dies for the patient in order to bring you back from the dead. Jesus becomes the curse of sin for you in order to give you a clean bill of health. All of your sin and death are quarantined in Jesus’ body on the cross. It all dies with Jesus. You are forgiven. You are restored. You are at peace. And the more we examine our lives, the more we see our sinful condition; and the more we realize we need healing. We need peace. But in order to get the proper treatment, we need the proper diagnosis. And that’s one of the reasons we give thanks to God for His servant Luke, the evangelist. Luke’s job is to bring Jesus to you through God’s living and active Word. God’s Word is the scalpel of Jesus, the Good Physician. And he’s an expert Surgeon. With precision his law cuts you and “kills” you, in order to heal you and make you alive. Each commandment is an accurate incision of the Law. We have not feared, loved, and trusted God above all things. We have failed to use God’s name properly and call upon him in every trouble, pray, praise, and give thanks. We have despised God’s word and preaching. We have not honored our father or mother or other authorities God has given us. We have not helped our neighbor in support of their physical need. We have not led a sexually pure life in all we say and do. We have been dishonest and poor stewards of our possessions and income. We have not spoken well of our neighbor and explained everything in the best and kindest way. We have coveted more things and people than we can even remember. The diagnosis isn’t good. In fact it’s terminal. But Jesus does not delight in torture or punishment. Jesus, your Good Physician cuts with the Law in order to heal with the Gospel. He kills you in order to make you alive. The Lord heals the broken hearted and binds up their wounds (Ps. 147:3). All of those commandments you have broken, Jesus has kept for you. Jesus perfectly fears, loves, and trusts the Father for you. Jesus called upon God’s name for you. Jesus heard and spoke the Word of God for you. Jesus honored father and mother and all authorities for you. Jesus helped his neighbor in ever time of need for you. Jesus led a sexually pure life, void of lust and desire and sin, for you. Jesus was a faithful steward of all God’s creation for you. Jesus explains everything about you in the kindest way he can, through the lens of his suffering and death. Not a commandment broken for you. All your sickness of sin, Jesus has made his own. Strange as it sounds, Jesus your Good Physicians turns the scalpel on himself. He stands under the two-edged sword of God’s Word for you. He bears the Law for you. Keeps the Law for you. Suffers the punishment of the Law for you. All so that he can heal you. Jesus is bruised for your iniquities. And by his wounds you are healed. Jesus is the Great Physician that Luke, the beloved physician, was called to write about and proclaim. “Peace be to this house”. The 72 give as they receive. Jesus gives them peace. The same peace of God that comes to us in the life, death, and resurrection of Jesus, all given to us in Luke’s Gospel. Simeon held the 40 day old peace of God in his hands and declares he can depart in peace. Jesus makes peace between God and man by his death on the cross. Jesus spoke to his disciples as he appeared before them resurrected from the dead: “Peace be with you”. But don’t think that Jesus’ peace is absent from us today. He is not. Thanks to Luke and the other evangelists. Thanks to the 72. Thanks to faithful pastors who are also sent. The peace that Jesus won for you on the cross by shedding his blood, by dying your death, by rising again – all of that is given to you here. Christ’s Peace be to this house. Peace be with your house. Rejoice! This doctor makes house calls! Christ’s peace is here. We sing it and say it around the Altar: “The peace of the Lord be with you always”. The peace of Christ comes to you here. 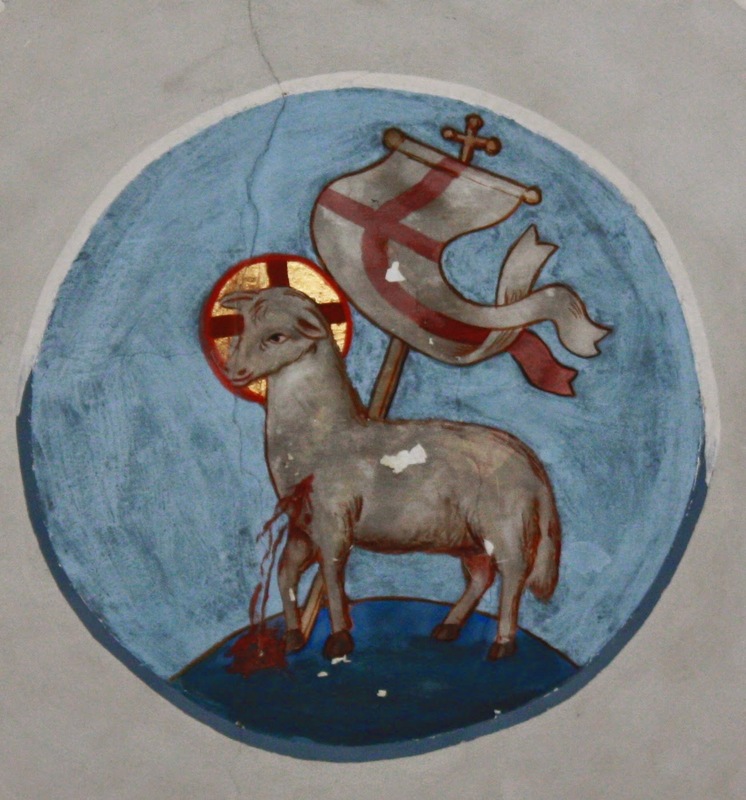 Take and eat: Christ’s body. Take and drink, Christ’s blood. Here is the medicine of immortality, an antidote for your sin. The peace Jesus gives is no placebo. It is real. Tangible as bread and wine, water and words. It is not temporary like our vain efforts at peace. Jesus does not appease sin and death. He destroys it. And in Jesus’ death you live. Jesus takes on your sickness you are restored. You are made well. And so today we give thanks to God for Luke, the Evangelist. For Luke’s accounts of Jesus’ life and ministry and for Jesus’ life in the life of the Church in the Book of Acts. But most of all we give thanks to God for Luke, the beloved physician, who points us to the Great Physician of body and soul, Christ our Lord. For today, the same promise given by Jesus to the 72 also comes to you. ‘The kingdom of God has come near to you.’ Peace be with you…and all who dwell here. 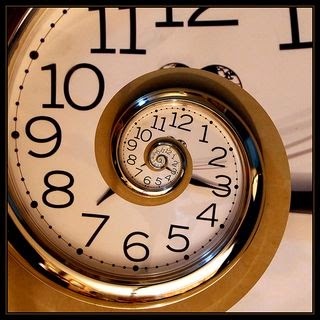 Sermon for Pentecost 17: "Old Story, New Ending"
Have you ever listened to a song on the radio and thought to yourself…I’ve heard this before (and not déjà vu). Like Vanilla “Ice Ice Baby” and Queen / David Bowie “Under Pressure”. Musicians call it sampling. Old and familiar stuck with the new. Fast forward 700 years or so and listen to what Jesus says. “Hear another parable. 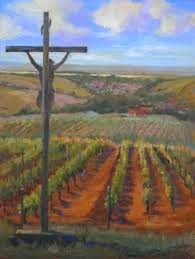 There was a master of a house who planted a vineyard and put a fence around it and dug a winepress in it and built a tower and leased it to tenants, and went into another country. When the season for fruit drew near, he sent his servants to the tenants to get his fruit. And the tenants took his servants and beat one, killed another, and stoned another. Finally he sent his Son. Did you hear it? Jesus picks up right where Isaiah left off. Isaiah records YHWH’s song for his vineyard and Jesus sings the same tune in his parable. Jesus tells an old story, but with a new ending. Jesus told this Parable of the Wicked Tenants right on the heels of his entry into Jerusalem. In fact it’s part two in a trilogy of parables told in rapid fire succession. There’s The Parable of the Two Sons (the one says he’ll work and doesn’t; the other says he won’t work and doe). The Parable of the Wicked Tenants (where they beat the Master’s servants one after another and then finally kill his son). And the Parable of the Wedding Feast (the king throws a party and invites everyone). Al three parables this in common: faith and unfaith. Receiving Jesus’ teaching and authority or rejecting it. Falling on Christ the cornerstone in repentance and faith or being crushed by it. And so this is a parable of judgment. But judgment of what? Of whom? It is not…A class judgment: rich or poor. An ethnic one: Jew or Gentile. It’s not a labor dispute: about one’s goodness or badness, what they’ve done or failed to do. No it is quite simply a judgment of faith alone. Faith in Christ or unfaith. Belief in Jesus or unbelief. When the Son of Man comes will he find faith on earth? That’s the question. And that’s the basis upon which Jesus tells this parable. The Pharisees were right when they perceived that Jesus was speaking against them. He was speaking against them. And against the world too. For Jesus stands in judgment against anyone who will not accept his acceptance of the world by faith alone. In other words, judgment is there only for those who would seek to justify themselves, only for those who would look for a righteousness apart from Christ, only for those who put their fear, love in trust in themselves. That was the problem in Isaiah’s day. That’s why YHWH called Israel a bunch of wild grapes. They had been unfaithful tenants. They abandoned the Lord’s Word and promise for faith in idols of all kind. They were unfruitful tenants as well, neglecting the poor and those in need. They had born fruit of rebellion and unbelief instead of repentance and faith. This was the Pharisees problem too. They challenged Jesus’ authority at every turn. Disbelieved his miracles and teaching. Abandoned the Word of God for the words of men. Produced the fruit of rejection and rebellion instead of repentance and faith. They wanted Law, not grace. They wanted to be judged by what they did, rather than what Christ was going to do for them on the cross. How sad. All Jesus wanted was for them to believe, to give up trusting in themselves and trust in him. To abandon all hope of self-justifying and find true hope in Christ who justifies the ungodly. But no, they wanted to be in control. 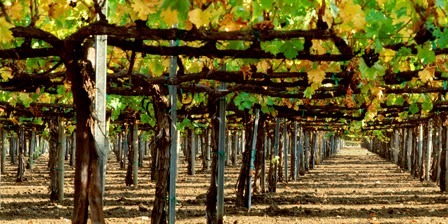 To tell the Master of the Vineyard to go pound topsoil. Take a hike. Find other tenants. He found you. Jesus took us, wild shoots and non-Israelites that we are, and grafted us into the living branches of his body on the tree of the cross. Just a little water and Word and that’s all it took. Your Baptism plants you firmly into Christ’s death and resurrection. Baptism grafts you into the vine who is Christ. I AM the Vine and you are the branches, declares the Lord. So, what kind of tenant are you? Faithful or unfaithful? Fruitful or unfruitful? Truth be told, we are both. In this life we are saint and sinner. Like the Pharisees and the Israelites of old, we’ve abandoned the Lord’s Word in favor of the words of men. And though they sound comforting and enticing, they bring only death. We have been unfaithful tenants of the Lord’s vineyard: our prayers and study of God’s Word falters. We have not loved others as ourselves. All we like wild grapes have grown sour in our life and conversation with our neighbor. Instead of bearing fruit in love for our neighbors, in caring for their needs or giving them a word of Good News, we’ve born fruit to devour for our own sinful appetite. Sin is a deadly appetite for destruction. In Adam we are all dead, lifeless, unfaithful, unfruitful branches fit only for the fire. But in Christ you are alive, a living sacrifice for your neighbor, faithful to the Lord, and fruitful in good works that Jesus prepares for you to walk in. In Christ you are faithful tenants who listen to His voice and hear him faithfully. You hunger and thirst for righteousness from Jesus’ Word and Jesus’ table. In Christ you bear the good fruit of love and humility towards your neighbor, not asking what you’ll get in response but simply for the joy of giving. In Christ you are humble and selfless because you are alive in him and he is alive in you through the first fruits of the Spirit given to the Baptized. And so this parable is both warning and promise for us. Warning us not to be unfaithful tenants. Warning us to flee the fruit of unbelief and rebellion and rejoice in the fruit Christ provides: repentance and forgiveness. And also a promise. What more could the Master do for you his vineyard? He sent prophets and apostles. And finally, he sent Jesus, his Son. For you. Here’s the new twist to the old song, the new ending to the familiar story. “Let’s kill the son,” they said, “and the vineyard will be ours.” Those wicked tenants were right! The Son of God is killed and his inheritance is yours. Christ’s rejection for your reconciliation. Christ’s faithfulness to cover your unfaithfulness. Christ’s fruit of salvation from the cross to forgive the fruit of your iniquity. Jesus takes the punishment of Israel’s sins, of the Pharisees sins, yours and mine – he takes it all on himself as he is thrown outside the vineyard walls of Jerusalem, beaten, and killed. The Son is devoured in death and destruction for his vineyard. 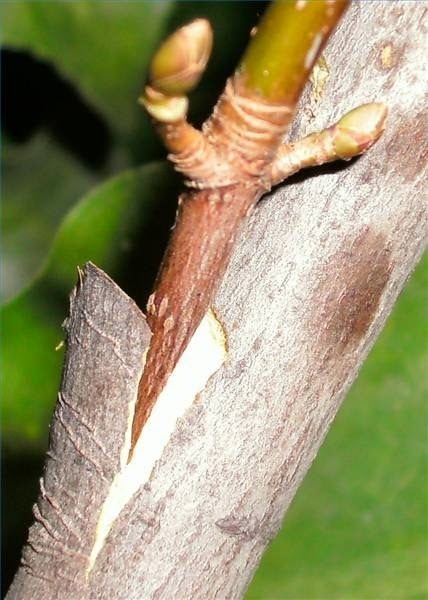 The precious Vine withers and dies to give life to dead branches. Jesus is the faithful tenant for you. Jesus bears good fruit for you, and sends the Holy Spirit who works in you to keep on bearing fruit with repentance. This is what Jesus wants more than anything: to give you his vineyard, fruit, and wine, the joyous harvest, his bountiful goodness and steadfast love. Jesus excels at giving. He died to give you life. And he lives to sustain your life. His holy fruit is your sustenance: Holy Baptism is your divine irrigation, a water tower flowing with forgiveness to cleanse your sin. Holy Absolution opens the kingdom of God to you; you are a forgiven and faithful tenant. 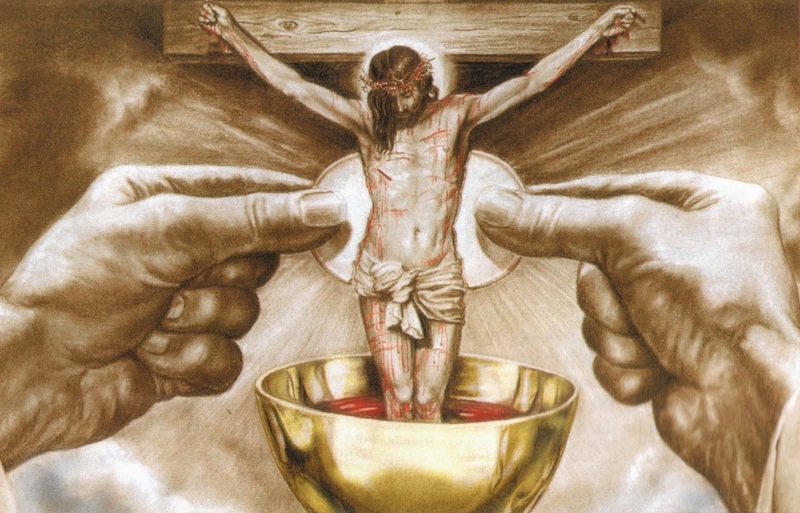 Holy Communion is your banquet table: taste and see that the Lord is good as you eat and drink his body and blood. And the wonderful thing about these gifts - the fruit of Christ’s victory from the cross to you, the Good News that we are found in Christ not having a righteousness of our own that comes from the law, but that which comes through faith in Christ, that we are given the righteousness from God that depends on faith – well, that is the one story that never gets old and never ends. Funeral Sermon for Betty Moore: "Jesus, Your Savior in All Seasons"
Solomon’s words ring true in our years, especially today. There was a time to be born and a time to die for Betty. Just as there is a time to be born and a time to die for all of us. But this was not always so. In the beginning there was only a time to be born and not a time to die; a time to laugh and never to cry; a time to dance and never to mourn. The Lord God looked upon all that he had made and behold it was very good. The world knew nothing of weeping and mourning and death. Now it seems that is all we know. All we see on the news, all we read in the papers (if haven’t stopped reading them yet because they’re too depressing), all we hear on the other end of the phone lines from family and friends seems to point us to the grave. It seems that we do not live under heaven but under hell, not life but death. You see for Betty and for you, sin and death are not the only season. They are but the fall and winter. Cold and cruel to be sure. Harsh but temporary. Christ was born, lived, suffered, died, was buried, and rose from the dead in order to begin an eternal Spring and Summer. If there is a time to die, then there is also a time to rise. Christ is greater than our sin and death. Christ’s death overcame death. By his resurrection he thawed the icy grip of the grave upon him and upon all who are called by his name. Yes there is a time to be born and a time to die, even for God. God was born for you, lived for you, suffered, bled, died, and rose for you. And so for Betty there was a time – September 22nd, 1922 – to be exact, where she died and was born all in a matter of a few moments and three splashes of water. I baptize you in the Name of the Father and of the Son and of the Holy Spirit. Amen. Behold I make all things new. Betty’s Baptism was truly a time to die. Her sin was drowned and washed away. And her Baptism was also a time to be born. A time to receive the new birth from above, to be born anew by water and Spirit, born a new creation by Jesus command and promise: Let there be life. And behold, in God’s eyes, Betty was very good. In fact she was better than good. She was perfect, holy, sinless. All of that because of all that Christ did for her on the cross and poured over her at the Font and fed her with at the Altar. This faith in Christ is the confession of faith that Betty received at Baptism. This was the faith that gave her strength when there was a time of depression or a time of plenty. She lived Solomon’s words about a time for planting and harvesting, and a time for casting away and gathering stones. This Christian faith is the firm foundation that Betty – and countless young Lutherans like her – received as they learned and studied and memorized each week in Sunday School and Church, in the home and later in confirmation class. And she simply carried her faith everywhere she went, from her family and friends in Lancaster, OH all the way to her family and friends here in Huntington Beach. This faith in Christ also led her to a life of service to others. Freely she received Christ’s mercy, freely she gave to those in need. Especially as a nurse, and a teacher of nurses. She knew that there’s a time for tearing and a time for sewing. But above all, this faith in Christ gave her words of comfort. Words she learned in from the wisdom of Solomon, comforting words resounding John’s Revelation, and the Good News which comes to our ears straight from the lips of Jesus in the Gospels. Yes, there is a time to mourn; but there is also a time to dance. For death has no dominion over Jesus, over Betty, or you. Yes, there is a time to weep; but there is also a time to laugh and rejoice. We see and hear that now in part in the Scriptures, hymns, and promises of Christ in Baptism and in the Supper. We will see and hear it in full voice before the throne where the Lamb of God makes all things new. Yes, there is a time to die; but there is also a time to rise; a time to be planted in the earth for a rest from our labors; and a time to be plucked up from our graves by our Lord Jesus Christ. And then there will be no more time for sin, and sorrow, and tears. No more seasons. No more fall and bitter cold winter of death. For the former things will pass away. These words are trustworthy and true. It is finished, Jesus declares. I am the Alpha and the Omega, the beginning and the end. He was for Betty. And he is for each of you as well in every season of his life, and in every matter und heaven. Christ has done all of this for you so that in every season of your life you would know that you have a Savior who has endured everything under heaven and earth for you.